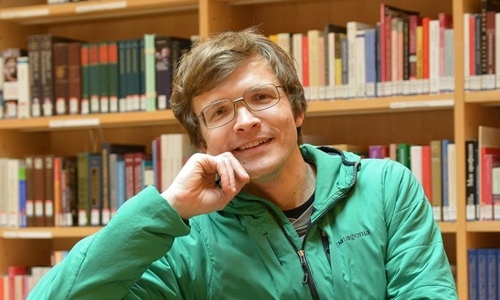 I am a Research Professor for Information Visualization at the Institute for Urban Futures of the University of Applied Sciences Potsdam. My research and teaching center around novel visualizations in support of exploratory information practices in a variety of contexts. 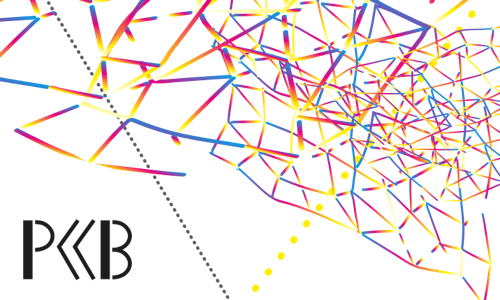 I am co-directing ᴜᴄʟᴀʙ, a transdisciplinary research group situated between design, computing, and the humanities. 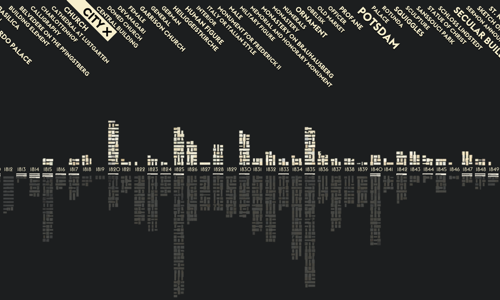 One particular focus of our recent work has been the visualization of cultural collections. During my PhD research at the University of Calgary (2008-2012) in the InnoVis group and Interactions Lab, I investigated the potential of visualizations for exploratory forms of search. 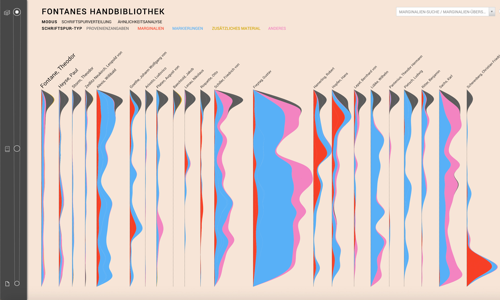 As a postdoc at Newcastle University, Culture Lab (2012-2013), I worked on interactive visualizations of books and text documents. Over the years, I also had the chance to collaborate with researchers and engineers at Google, Microsoft Research, IBM Research, and Universidad de Chile. Before my PhD, I studied Computational Visualistics at the Universität Magdeburg (2003-2008). My courses are primarily aimed at students in Urban Futures (MA), Interface Design (BA/MA), and Information Science (BA/MA), but are open to other disciplines as well. Katrin Glinka und Marian Dörk. Zwischen Repräsentation und Rezeption – Visualisierung als Facette von Analyse und Argumentation in der Kunstgeschichte. Computing Art Reader → Einführung in die digitale Kunstgeschichte. arthistoricum.net, Seiten 235-250, Dez 2018. Heike Otten, Lennart Hildebrandt, Till Nagel, Marian Dörk, and Boris Müller. 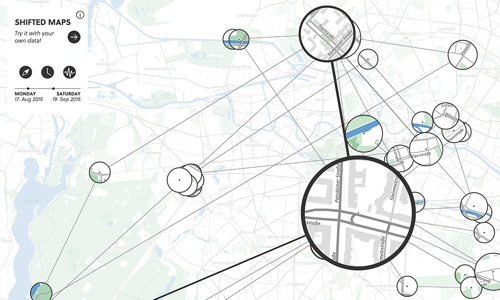 Shifted Maps: Revealing spatio-temporal topologies in movement data. VISAP’18: Proceedings of the IEEE VIS Arts Program, 2018. Flavio Gortana, Franziska von Tenspolde, Daniela Guhlmann, and Marian Dörk. Off the Grid: Visualizing a Numismatic Collection as Dynamic Piles and Streams. Open Library of Humanities (Remaking Collections), 4(2), October 2018. Florian Windhager, Paolo Federico, Günther Schreder, Katrin Glinka, Marian Dörk, Silvia Miksch, and Eva Mayr. 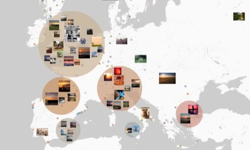 Visualization of Cultural Heritage Collection Data: State of the Art and Future Challenges. TVCG: IEEE Transactions on Visualization and Computer Graphics, April 2018. Fanny Chevalier, Melanie Tory, Bongshin Lee, Jarke van Wijk, Giuseppe Santucci, Marian Dörk, and Jessica Hullman. From Analysis to Communication Supporting the Lifecycle of a Story. Data-Driven Storytelling. CRC Press, pages 169-202, March 2018. Viktoria Brüggemann, Katja Dittrich, Marian Dörk, Johannes Herseni, Jens Rauenbusch, und Fidel Thomet. Die bibliografischen Daten der Deutschen Nationalbibliothek entfalten. Dialog mit Bibliotheken, pages 11-16, Jan 2018. Marian Dörk, Christopher Pietsch, and Gabriel Credico. 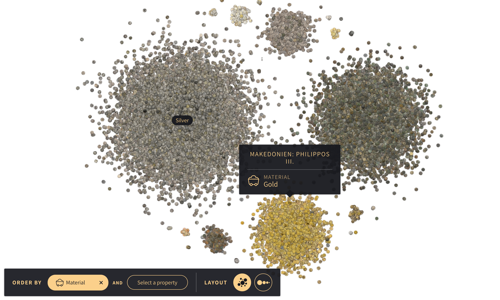 One view is not enough: High-level visualizations of a large cultural collection. Information Design Journal, 23:1, pages 39-47, July 2017. Stephanie Neumann, Richard Banks, and Marian Dörk. Memory Dialogue: Exploring Artefact-Based Memory Sharing. alt.chi 2017: Extended Abstracts of the SIGCHI Conference on Human Factors in Computing Systems, ACM, pages 884-895, May 2017. Sarah Kreiseler, Viktoria Brüggemann, and Marian Dörk. Tracing exploratory modes in digital collections of museum Web sites using reverse information architecture. First Monday. 22:4, April 2017. Katrin Glinka, Christopher Pietsch, and Marian Dörk. Past Visions and Reconciling Views: Visualizing Time, Texture and Themes in Cultural Collections. DHQ: Digital Humanities Quarterly. 11:2, March 2017. Viktoria Brüggemann, Sarah Kreiseler, and Marian Dörk. Museale Bestände im Web: Eine Untersuchung von acht digitalen Sammlungen. EVA Berlin: Proceedings of the Electronic Media and Visual Arts conference, pages 227-236, Nov 2016. Till Nagel, Christopher Pietsch, and Marian Dörk. Staged Analysis: From Evocative to Comparative Visualizations of Urban Mobility. VISAP’16: Proceedings of the IEEE VIS Arts Program, 2016. Jan-Erik Stange and Marian Dörk. Visualizing the spatiality in fictional narratives. Workshop on Visualization for the Digital Humanities at IEEE VIS, 2016. Katrin Glinka, Christopher Pietsch, Carsten Dilba, and Marian Dörk. Linking structure, texture and context in a visualization of historical drawings by Frederick William IV (1795-1861). International Journal for Digital Art History, No 2, 2016. Owen Gaffney, Marian Dörk, Jason Dykes, Greg McInerny, and Denise Young. 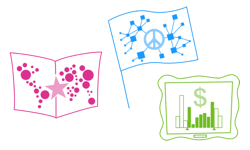 Rewiring science-policy with visual information design. Future Earth Media Lab – Medium, 16 Oct 2016. Michael Prytula, Tobias Schröder, Marian Dörk, Michael Ortgiese, Antje Michel, Heike Neuroth, and Janina Lehmann. Transformation lernen: Der Masterstudiengang Urbane Zukunft an der Fachhochschule Potsdam. Transforming Cities, pages 76-79, 2016. Kim Albrecht, Marian Dörk, and Boris Müller. Culturegraphy. Leonardo, MIT Press, 2016. Julian Stahnke, Marian Dörk, Boris Müller, and Andreas Thom. Probing Projections: Interaction Techniques for Interpreting Arrangements and Errors of Dimensionality Reductions. TVCG: IEEE Transactions on Visualization and Computer Graphics (Proceedings InfoVis 2015). 22(1), pages 629-638, Jan 2016. Tom Schofield, David Kirk, Telmo Amaral, Marian Dörk, Mitchell Whitelaw, Guy Schofield, and Thomas Ploetz. 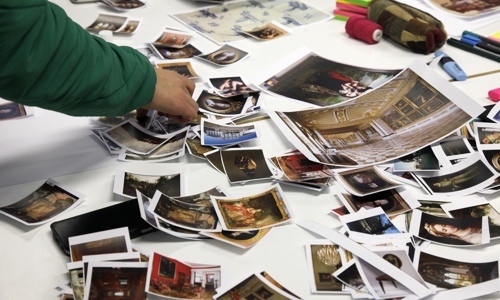 Archival Liveness: Designing with Collections Before and During Cataloguing and Digitization. DHQ: Digital Humanities Quarterly. 9:3, Dec 2015. Katrin Glinka and Marian Dörk. Museum im Display. Visualisierung kultureller Sammlungen (Vikus). EVA Berlin: Proceedings of the Electronic Media and Visual Arts conference, pages 21-27, Nov 2015. Jonas Parnow and Marian Dörk. 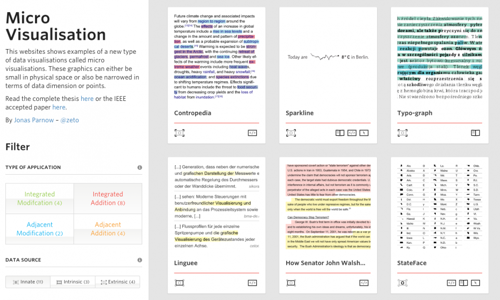 Micro Visualizations: Data-driven typography and graphical text enhancement. Poster at IEEE VIS, Oct 2015. Heike Otten, Lennart Hildebrandt, Till Nagel, Marian Dörk, and Boris Müller. Are there networks in maps? 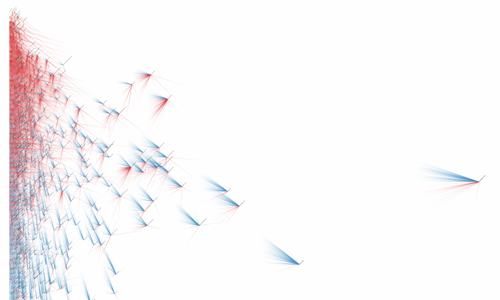 An experimental visualization of personal movement data. Paper at IEEE VIS Personal Visualization Workshop, Oct 2015. Katrin Glinka, Sebastian Meier, and Marian Dörk. Visualising the »Un‑seen«: Towards Critical Approaches and Strategies of Inclusion in Digital Cultural Heritage Interfaces. Kultur und Informatik 2015 (Culture and Computer Science), vwh, pages 105-117, May 2015. Marian Dörk and Dawn Knight. 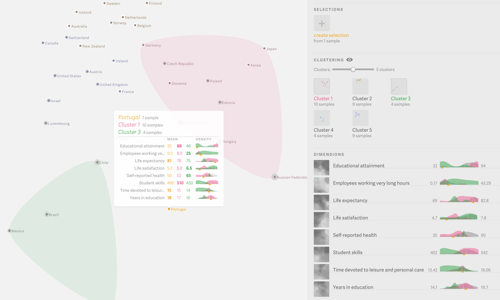 WordWanderer: A Navigational Approach to Text Visualisation. Corpora, Edinburgh University Press, 10(1), pages 83-94, April 2015. Johannes Landstorfer, Ivo Herrmann, Jan-Erik Stange, Marian Dörk, and Reto Wettach. Weaving a Carpet from Log Entries: a Network Security Visualization Built with Co-Creation. VAST 2014: Proceedings of IEEE Symposium On Visual Analytics Science And Technology, Nov 2014. Jan-Erik Stange, Johannes Landstorfer, Marian Dörk, and Reto Wettach. Visual Filter: Graphical Exploration of Network Security Log Files. VizSec '14: Proceedings of the Eleventh Workshop on Visualization for Cyber Security (IEEE VIS 2014), pages 41-48, Nov 2014. Marian Dörk, Rob Comber, and Martyn Dade-Robertson. Monadic Exploration: Seeing the Whole Through Its Parts. CHI 2014: Proceedings of the SIGCHI Conference on Human Factors in Computing Systems, ACM, pages 1535–1544, April 2014. Ko-Le Chen, Marian Dörk, and Martyn Dade-Robertson. Exploring the Promises and Potentials of Visual Archive Interfaces. Proceedings of the 2014 iConference, pages 735-741, March 2014. Cody Coljee-Gray, Marian Dörk, and Sheelagh Carpendale. Visually Exploring Books Along Their Subject Headings. Proceedings of the 2014 iConference, pages 729-734, March 2014. Marian Dörk. Visualisierung Kultureller Sammlungen. 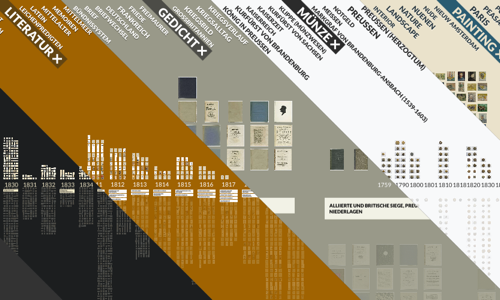 Poster at 3rd Einstein-Zirkel Digital Humanities Workshop, Berlin, Feb 2014. Tom Schofield, Marian Dörk, and Martyn Dade-Robertson. Indexicality and Visualization: Exploring Analogies with Art, Cinema and Photography. C&C 2013: Proceedings of the Conference on Creativity and Cognition, ACM, pages 175-184, June 2013. Marian Dörk, Patrick Feng, Christopher Collins, and Sheelagh Carpendale. 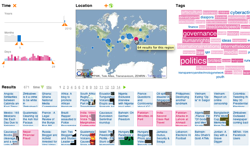 Critical InfoVis: Exploring the Politics of Visualization. alt.chi 2013: Extended Abstracts of the SIGCHI Conference on Human Factors in Computing Systems, ACM, pages 2189-2198, May 2013. Marian Dörk, Heidi Lam, and Omar Benjelloun. 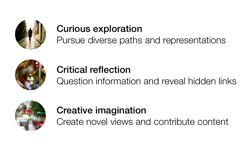 Accentuating Visualization Parameters to Guide Exploration. Work-in-Progress at CHI 2013: Extended Abstracts of the SIGCHI Conference on Human Factors in Computing Systems, ACM, pages 1755-1760, May 2013. Marian Dörk, Peter Bennett, and Rosamund Davies. Taking Our Sweet Time to Search. Changing Perspectives of Time in HCI (CHI 2013 workshop), 4 pages, April 2013. Marian Dörk, Nathalie Henry Riche, Gonzalo Ramos, and Susan Dumais. PivotPaths: Strolling through Faceted Information Spaces. TVCG: IEEE Transactions on Visualization and Computer Graphics (Proceedings InfoVis 2012). 18(12), pages 2709-2718, Dec 2012. Marian Dörk, Carey Williamson, and Sheelagh Carpendale. Navigating Tomorrow’s Web: From Searching and Browsing to Visual Exploration. TWEB: ACM Transactions on the Web. 6(3), Article No. 13, 28 pages, Sep 2012. Marian Dörk. 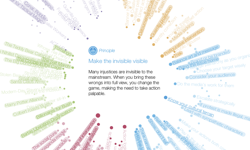 Visualization for Search: Exploring Complex and Dynamic Information Spaces. PhD Thesis, Department of Computer Science, University of Calgary, July 2012. Miguel Nacenta, Mikkel Jakobsen, Rémy Dautriche, Uta Hinrichs, Marian Dörk, Jonathan Haber, and Sheelagh Carpendale. The LunchTable: A Multi-User, Multi-Display System for Information Sharing in Casual Group Interactions. ISPD 2012: International Symposium on Pervasive Displays, 6 pages, June 2012. Marian Dörk, Sheelagh Carpendale, and Carey Williamson. Fluid Views: A Zoomable Search Environment. AVI 2012: Proceedings of the International Conference on Advanced Visual Interfaces, ACM, pages 233-240, May 2012. Marian Dörk, Sheelagh Carpendale, and Carey Williamson. Visualizing Explicit and Implicit Relations of Complex Information Spaces. Information Visualization, Sage, 11(1), pages 5-21, Jan 2012. Published online Nov 9, 2011. Marian Dörk, Sheelagh Carpendale, and Carey Williamson. Exploring Growing Information Spaces. HCIR 2011: Workshop on Human-Computer Interaction and Information Retrieval, 4 pages, Oct 2011. Marian Dörk, Sheelagh Carpendale, and Carey Williamson. 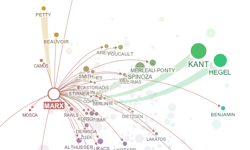 Mapping Influence of Philosophers Across Interests and Epochs. Poster at AITF Tech Futures Summit 2011, Banff, Aug 2011. Best poster award. Jagoda Walny, Jonathan Haber, Marian Dörk, Jonathan Sillito, and Sheelagh Carpendale. Follow that Sketch: Lifecycles of Diagrams and Sketches in Software Development. VISSOFT 2011: Proceedings of IEEE International Workshop on Visualizing Software for Understanding and Analysis, September 2011. Marian Dörk, Sheelagh Carpendale, and Carey Williamson. The Information Flaneur: A Fresh Look at Information Seeking. CHI 2011: Proceedings of the SIGCHI Conference on Human Factors in Computing Systems, ACM, pages 1215-1224, May 2011. Marian Dörk and David Monteyne. Urban Co-Creation: Envisioning New Digital Tools for Activism and Experimentation in the City. HCI, Politics, and the City (CHI 2011 workshop), 4 pages, May 2011. Jonathan Haber, Miguel Nacenta, Uta Hinrichs, Marian Dörk, Rémy Dautriche, and Sheelagh Carpendale. Let’s All Go to the Lunch Table: Performance in Interactive Semi-Public Spaces. Performative Interaction in Public Space (CHI 2011 workshop), 4 pages, May 2011. Marian Dörk, Sheelagh Carpendale, and Carey Williamson. 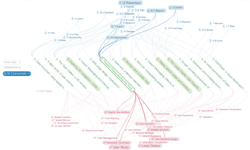 EdgeMaps: Visualizing Explicit and Implicit Relations. Proceedings of VDA 2011: Conference on Visualization and Data Analysis, IS&T/SPIE, 12 pages, Jan 2011. Best paper award. Marian Dörk, Daniel Gruen, Carey Williamson, and Sheelagh Carpendale. 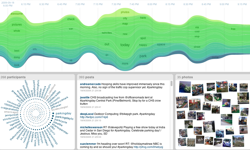 A Visual Backchannel for Large-Scale Events. TVCG: IEEE Transactions on Visualization and Computer Graphics (Proceedings InfoVis 2010), 16(6), pages 1129-38, Nov/Dec 2010. Marian Dörk. 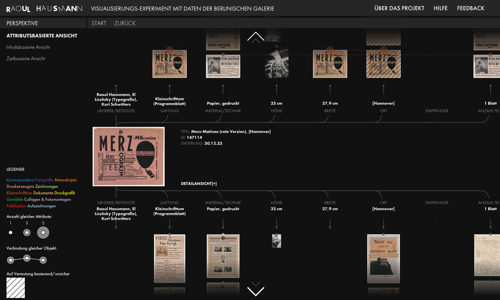 Information Visualization for Web-based Search and Exploration (Poster). IEEE VisWeek 2010 Doctoral Colloquium, 4 pages, Oct 2010. Marian Dörk, Sheelagh Carpendale, and Carey Williamson. Visual Web Exploration: Beyond Ranked Snippets and Thumbnails. Position Paper, Putting Visualization on the Web Workshop, 1 page, VisWeek 2009. Marian Dörk, Carey Williamson, and Sheelagh Carpendale. 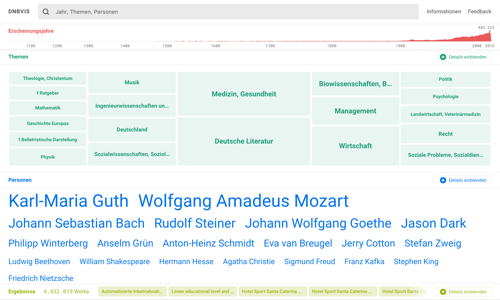 Towards Visual Web Search: Interactive Query Formulation and Search Result Visualization. WSSP 2009: WWW Workshop on Web Search Result Summarization and Presentation, 4 pages, 2009. Marian Dörk, Sheelagh Carpendale, Christopher Collins, and Carey Williamson. 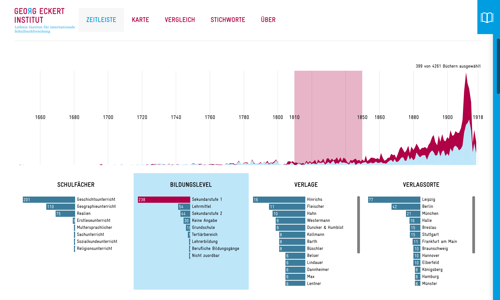 VisGets: Coordinated Visualizations for Web-based Information Exploration and Discovery. TVCG: IEEE Transactions on Visualization and Computer Graphics (Proceedings InfoVis 2008), 14(6), pages 1205-1212, Nov/Dec 2008. Marian Dörk. 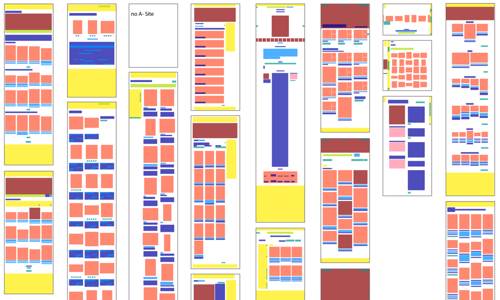 Towards a Better VIEW: Visual Information Exploration on the Web. Diploma thesis, Faculty of Computer Science, Otto-von-Guericke University of Magdeburg, May 2008. Marian Dörk, Andreas Nürnberger, and Javier Velasco Martín. Atomique: A Photo Repository for Decentralized and Distributed Photo Sharing on the Web. Demo at MULTIMEDIA 2007: Proceedings of the 15th annual international conference on Multimedia, ACM, pages 152-153, 2007. Marian Dörk. Decentralized and Distributed Photo Sharing on the Web. Project report, Faculty of Computer Science, Otto-von-Guericke University of Magdeburg, February 2007.